Cool gardens now hang, or grow up walls, it appears. I am a big fan of ‘green wall’ gardens, such as you can see in the Anthropologie store in Regent Street, which still looks lovely some 18 months after being built. 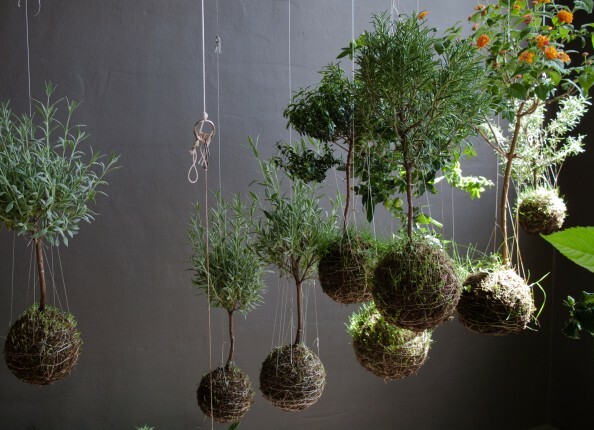 But these String Gardens are the first hanging plants that I have wanted to buy. 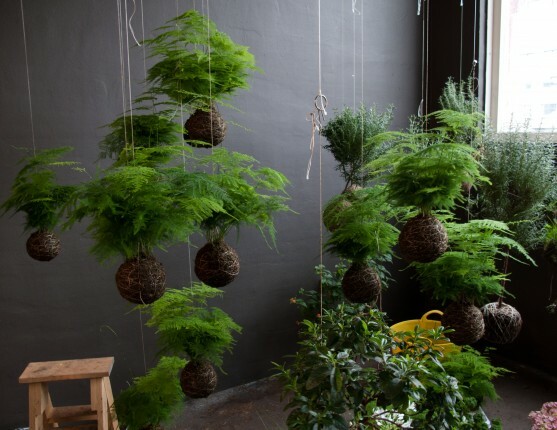 These beautifully presented plants are made by Fedor van der Valk, the Amsterdam based floral designer behind String Gardens. 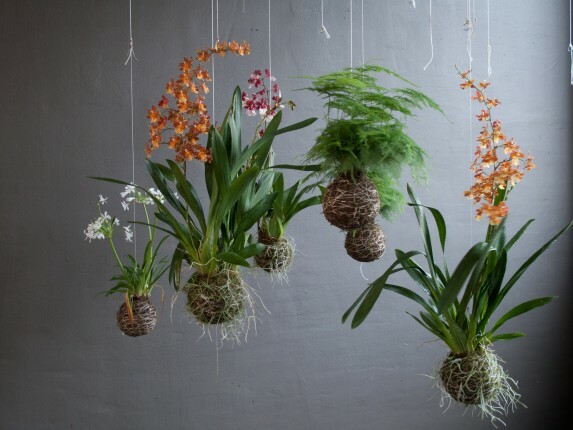 Contained in a ball of moss, earth and grass, the plant is kept in place by a dainty crochet of strong thread, which spins a supportive web both around the root ball of the plant and extends to the ceiling to avoid the use of vases or surfaces. Ingenious really and very beautiful to look at, it’s like a nicer version of those macramé string plant holders we used to get back in the 70s. 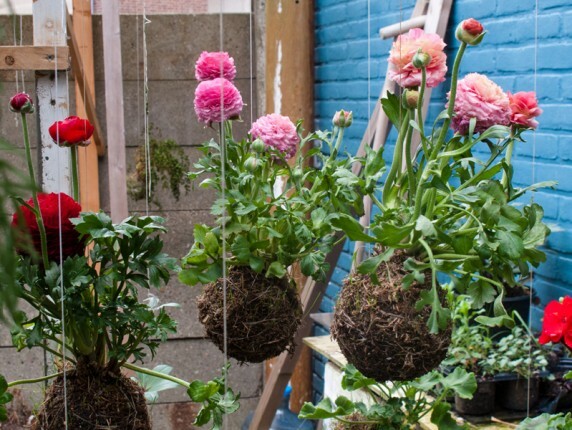 Watering is reasonably simple, you soak the ball in a bucket of water, let it drip for a bit, then hang it up again, You can trim the grass around the plants with scissors (much more convenient than a lawn mower) and swap plants about by simply hanging them off different things.